“You can never be overdressed or overeducated.” These wise words were spoken by Irish poet Oscar Wilde circa 1890 and they’re still incredibly relevant today. Whether you’re in the final year of your undergraduate degree, or if you’re already graduated and working full-time, there’s never a wrong time to go back to school and get your MBA or Business Master’s. And if you can study at one of the world’s leading universities, even better. On Thursday, August 16, you’ll have the chance to hear from and meet reps from schools like Harvard and Columbia at The MBA Tour taking place at Centre Mont-Royal on Mansfield Street. The conference is taking place from 5 to 9:30 pm, making it easy to visit after work or school. And registration is completely free, all you have to do is reserve your space via The MBA Tour. To give you a bit of background, The MBA Tour held its first event back in 1993 and now hosts over 60 MBA events in over 30 countries. It’s an independent and high-quality information source regarding MBA admissions, and it represents schools from North America, to Europe, Asia, and South America. 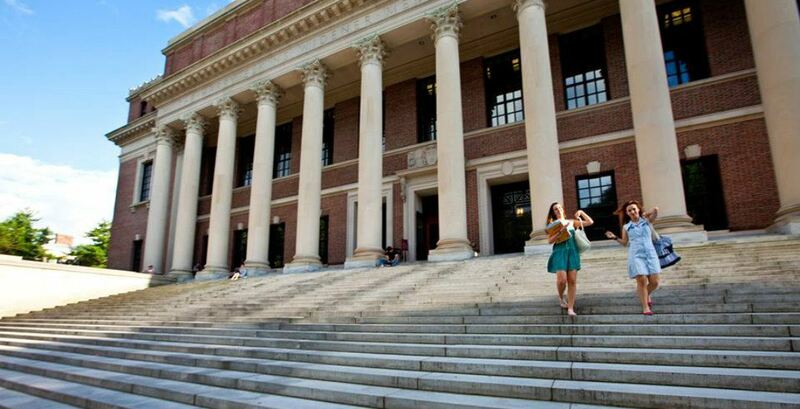 All of the events hosted by the Tour emphasize personal interactions between prospective MBA students, business school admissions representatives, alumni, and other like-minded education enthusiasts. For you? This means you have the chance to hear from admissions decision makers from some of the world’s top business schools during panel sessions, presentations, and small group meetings. These interactions could help you select a university that suits your specific career and lifestyle goals. Every MBA Tour event is limited to a carefully selected group of business schools which are reviewed and approved by an advisory board of peers. So you can expect to meet reps from only the top schools: Columbia University, Concordia University – JMSB, ESG UQAM, Harvard University, HEC Montréal, Hult International Business School, IE Business School, IESE Business School, Ivey Business School, McGill University, Queen’s University, Thompson Rivers University, University of British Columbia, University of Southern California, University of Toronto, University of Victoria, and York University – Schulich School of Business. 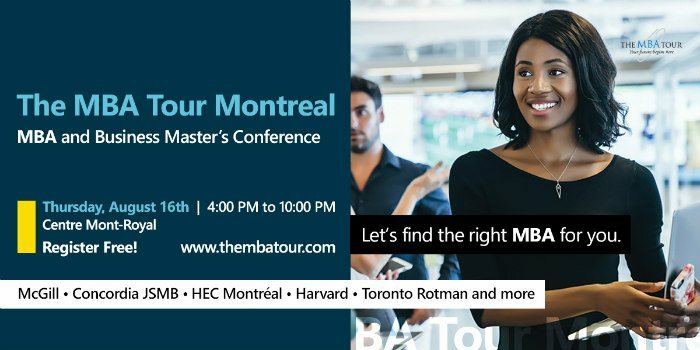 The MBA Tour is only going to stop in Montreal once this summer and attending the event could help you shape your future and your career. Register today and get ready to talk business!